When you need a religious gift you probably head to your local Christian bookstore where you know you’ll find a variety of inspirational gift books, journals, jewelry, CDs and knickknacks. But what if you’re looking for something more personalized? 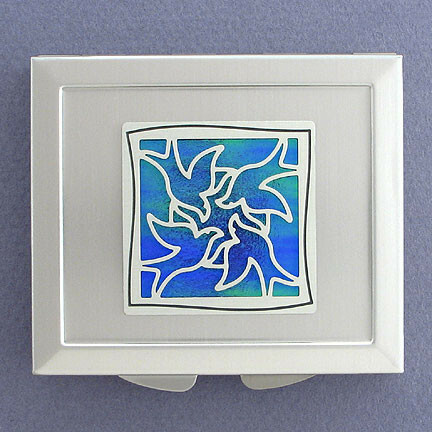 What if you have a friend who’s in need of peace and you’d like to buy her a compact mirror for her purse with doves and an engraved Bible verse about the peace of God which transcends all understanding? 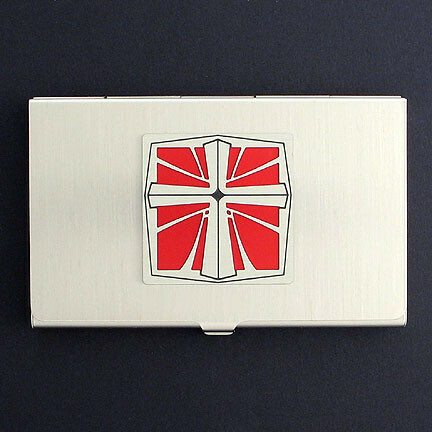 Or your son is graduating from Bible College and going into ministry and you’d like to get him a monogrammed business card holder with a cross in his favorite color? 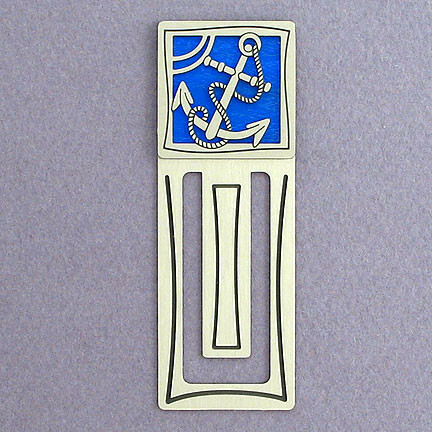 Or maybe your mom was diagnosed with cancer and you’d like buy her an engraved anchor bookmark to remind her that God is her anchor and encourage her to remain anchored in His word during this difficult time. Perhaps you know someone who’s been laid off and is struggling financially. 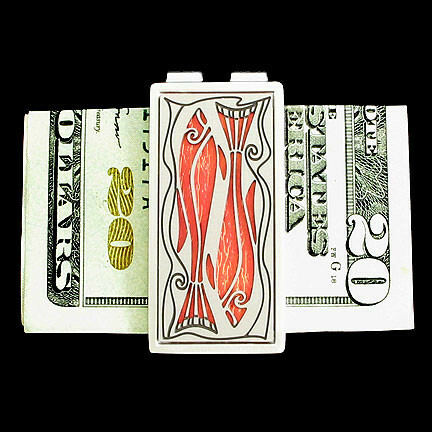 They may be overwhelmed with debt and could use a symbolic fish pill box or money clip to remind them that God provides for his children, works miracles, and meets needs one day at a time. You probably have a person in mind that you need a spiritual gift for – think about their circumstances, personality, and preferences. 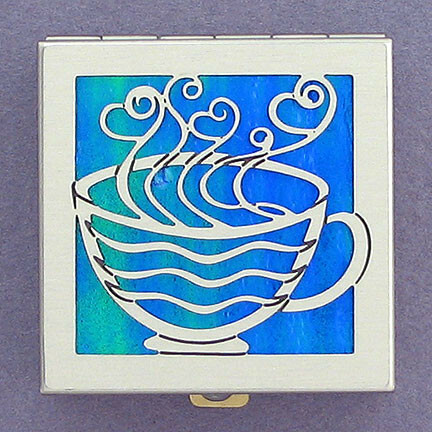 Pick a gift they can use – a purse pill box, business card holder, Bible bookmark, engraved money clip, decorative night light, compact mirror, ornament, purse hook, fridge magnet, metal case, or any other personalized gift. Determine what religious symbol would speak to them at this season in their life – choose a cross, open Bible, angel, lion, lamb, sheep, dove, fish, anchor, vines, or tree of life. 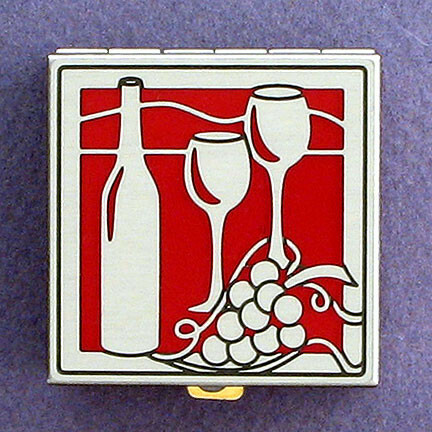 Click Christian Themed Gift Ideas to see these designs on actual gifts if you need ideas. Now the fun part – choosing your gift colors! Many gifts come in gold or silver (and some in black) metal. Pick your favorite metal finish and then select from over 40 color choices for the accent color that goes behind the religious design you chose. Finally, add their name, a Bible verse, Bible reference, or words of encouragement to engravable gifts. Add your custom Christian gift to your cart and in 1 to 2 business days it’ll be working its way through the mail system to either your doorstep or the doorstep of your gift recipient (Kyle Design can gift wrap your personalized gift and ship it straight to your friend or family member). Can you name 5 of the top 10 most common “addictions” people give up for Lent? My husband always gives up 1, and sometimes 2, items from the Top 10 List. I wasn’t raised Catholic so this has been a new concept to me and while I try not to tempt him I have yet to go 40 days without dropping even 1 of my guilty pleasures. Until this year. I’ve spent the past several weeks pondering what I will give up. Thinking I was rather creative I’ve announced all my “unique” ideas to my husband, only to learn that every one of them is actually quite common for Lent participants. Hmmmm. This got me wondering, what are the most common things people give up? 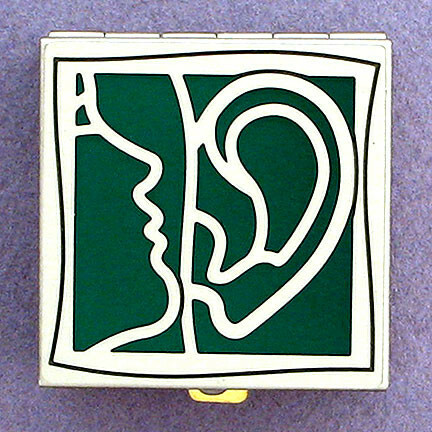 If you know someone who intends to give up gossiping for Lent, help them out with this inspirational box. This will encourage and remind them that they can do it! Engrave Ephesians 4:29 as an added reminder of how we should speak. Smoking is an especially difficult thing to give up for Lent, and it shows true dedication! 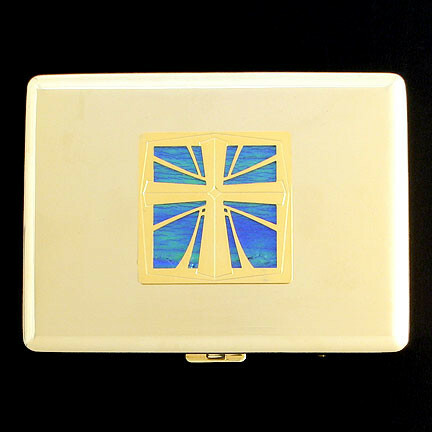 If your husband or wife would like to give up smoking for Lent, get him or her a personalized cross cigarette case. 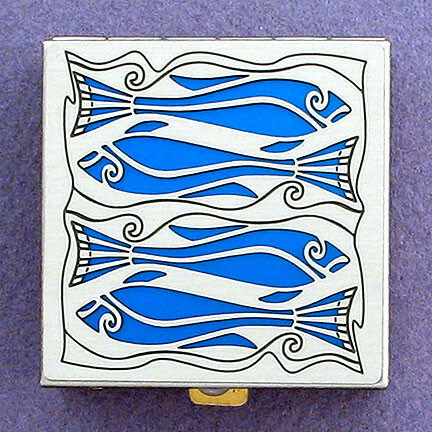 Put the remaining cigarettes from their last pack in this case and let it serve as a religious reminder not to smoke each time they instinctively reach for their smokes. Giving up television means missing out on all your favorite shows, but it gives you more quality time with your family. 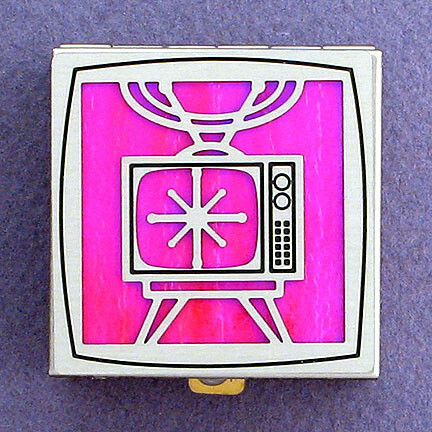 If someone you know has decided to skip TV for Lent, design a unique pill box with a “No TV for Lent 2012” engraving. Going Facebook Free for 40 Days isn’t easy – especially if you’re a teen or in your 20s. (OK, maybe some of us in our 30s struggle with this too!) Make sure you disable any facebook apps on your cell phone or ipad! 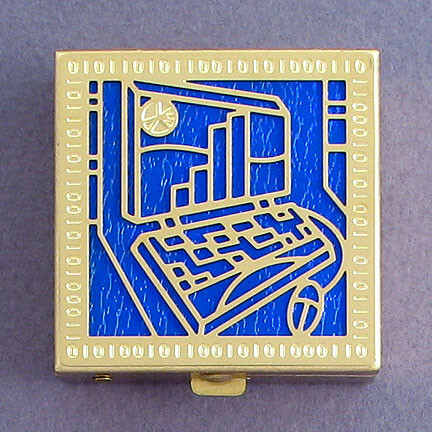 Buy a cute computer themed pill box to carry around as a reminder. Engrave “40 Days of NO Facebook” and then write a note to yourself explaining why you chose facebook and what it means to you personally to give it up. Then, fold up your note and tuck it inside your pill box so you can read it when you’re feeling weak. 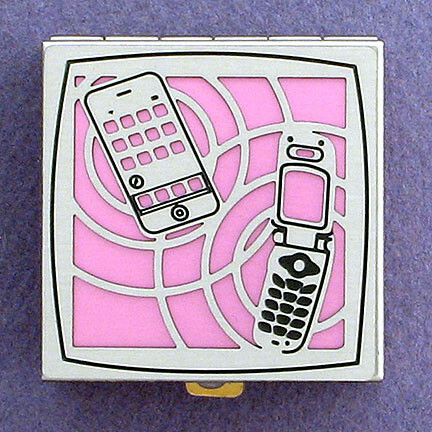 Get this Exclamation Point pill box as a reminder that you plan to spend the next 40 days without swearing. Put some candy in the box and each time you want to curse but don’t, pull out a little treat to reward yourself! Engrave a Bible reference like James 3:10. Many people choose to give up alcoholic beverages during the period of Lent. This can prove especially difficult if you like to enjoy a green beer on St. Patrick’s Day (I know I do!). But, it also means living a healthier lifestyle and enjoying 40 hangover free mornings in a row. 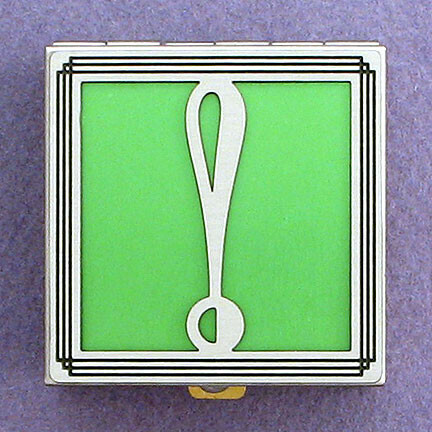 Engrave this Alcoholic Beverages Ban Pill Box to remind you or a friend to stay sober during Lent. Soda is my greatest weakness and would be the most difficult thing on this list for me to give up. Not only do french fries just taste better with Coke, but I rely on soda’s caffeine to keep me headache free throughout the day. 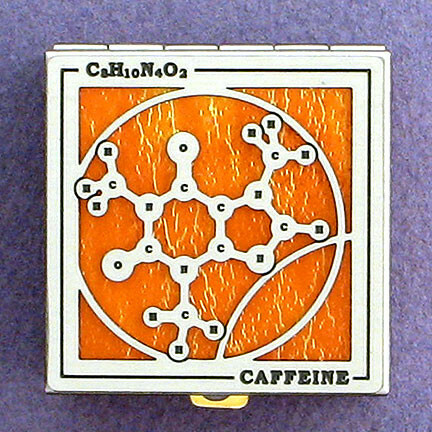 If you or someone in your family is giving up soda for Lent, personalize this neat little caffeine molecule pill box for them – choose a gold or silver box, a blue, pink, green, red, or purple background color (to name a few – Kyle Design has 42 color choices) and even engrave it with your words of encouragement. Don’t forget to add some Motrin to get them through those first few days of caffeine withdrawal! Many brave souls give up desserts for Lent, relishing the sweet love of Jesus rather than indulging their sweet tooth. You’d think this would be harder for women than men, but when my husband has to sit next to me while I dip Oreos in milk, the temptation hits him pretty hard. 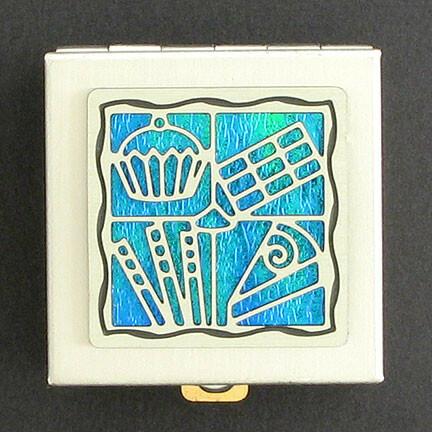 You can personalize this desserts pill box for the man or women you know who’s decided to nix sweets this Lent season. And be sure to get them some extra Easter candy – they’re gonna need it come Easter Sunday! Starbucks won’t be happy with you (they sell 8,200,000 cups of coffee a day), but your wallet will! If you give up coffee for Lent you won’t be alone – it’s the most common thing people choose to deprive themselves of. This of course, only counts if you actually drink coffee. If not, look back down the list and find something more challenging for you, or choose something unique that’s not listed here (that’s my plan!). If you’re like me, you didn’t grow up keeping this ritual of self-deprivation during the time between Ash Wednesday and Easter. Why not join me in my first year participating in Lent and see what spiritual blessings you get from it. It all starts tomorrow, February 22nd. All I ask is that you challenge yourself. Don’t pick an item that when you consider giving it up you automatically think, “I could go without that for 40 days…” Instead, pick something you could never give up, and let the power of the Holy Spirit get you through it. I believe the harder it is to give up, the more rewarding your experience will be.